news Microsoft has published details of its roadmap for new Windows 10 business features that are likely to make their way to users’ machines in the near future. Perhaps most significantly, and not surprisingly, a number of the upcoming features relate to security, with enterprise data protection and multifactor authentication for apps or websites, and more, promising new levels of safety for enterprise customers. It appears this story was first reported by iTnews. Currently at the ‘Public Preview’ stage, Enterprise data protection (EDP) is aimed to help to protect against data leakage without otherwise interfering with employee experience. It will also protect enterprise apps and data against accidental data leak on enterprise-owned devices or personal devices that employees bring to work. EDP works by looking for inappropriate data sharing practices and, if found, stops the employee from completing the potentially risky action. This can include sharing information across non-enterprise-protected apps, or sharing enterprise data with external people and devices. If needed, ‘Override EDP’ lets the employee override the policy and share the data, with the action being entered to the user’s audit log. EDP can also run in conjunction with Azure Rights Management to extend data protection for information that leaves a device – for example, when email attachments are sent from an “enterprise aware” version of a rights management email client. Microsoft notes that EDP is still in development and is not yet integrated with Azure Rights Management. The second security feature in Public Preview is multifactor authentication for apps and websites. This uses Windows Hello and/or Microsoft Passport to authenticate and log on to an application or website to reduce the likelihood of intrusions by malicious third parties. A number of other security features are listed as being ‘In Development’. These include Windows Defender Advanced Threat Protection – a new service aimed to help businesses detect, investigate and respond to sophisticated attacks on their networks. “Building on the existing security defenses Windows 10 offers today, Windows Defender Advanced Threat Protection provides a new post-breach layer of protection to the Windows 10 security stack,” said Terry Myerson, Microsoft Executive Vice President, Windows and Devices Group. Microsoft indicates the service is already live with “early adopter customers”. Also in development are enhancements to Microsoft Passport to improve functionality in enterprise environments, and the ability to use a smartphone to unlock a Windows PC. The latter would let users with Windows or Android phones use them as “remote credential stores” to unlock Windows 10 PCs or authenticate apps and services that support Windows Hello and Microsoft Passport-based authentication. Additionally, there will be the possibility to us a companion device, such as a Microsoft Band 2, to unlock a users Windows PC via integration with the Windows 10 Companion Device Framework (CFD). Effectively, the Band 2 (or other third party device) will become an external second factor of authentication at log on. Other impending features, like Microsoft Edge extensions, touchscreen support, casting of phone screens onto PCs (or PC to PC), and more, can be viewed on Microsoft’s roadmap webpage. 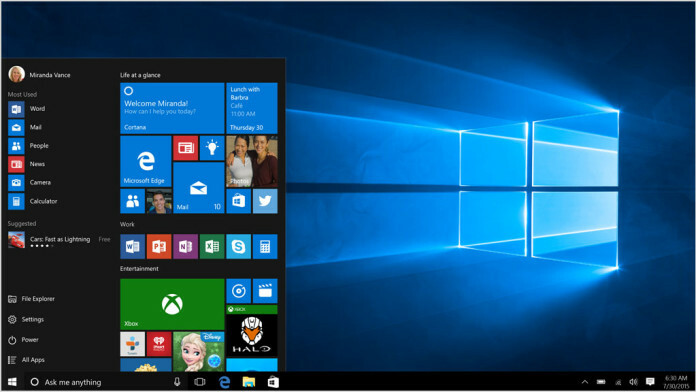 Why is Microsoft dropping support for Windows 8.1? But I want my free Solitaire!